Last weekend I went to celebrate my 2nd anniversary with Mr. NPT and on the way home he insisted we go shopping. I being not one to argue happily obliged. I was looking for white shorts and capris and could not find a pair that I liked, so I ended up with....you guessed it! More nail polish. I picked up American Apparel Constellation, Meteor Shower, Galaxy and Makeup. 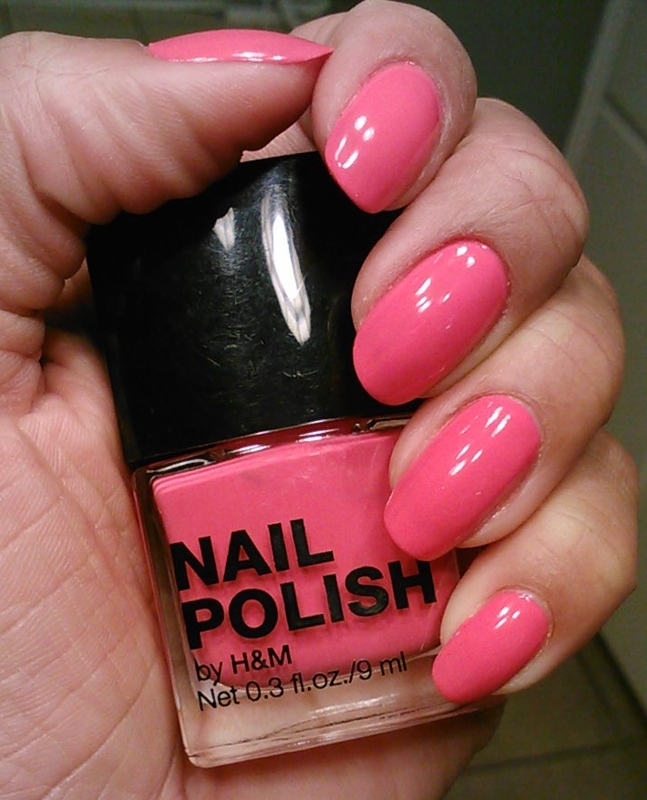 I wanted to wear something really girly so I chose this bubble gum pink by H&M called Check Me Out. The glitter was so hard to apply, I literally had to glob it on and then go back and fill in empty spots. 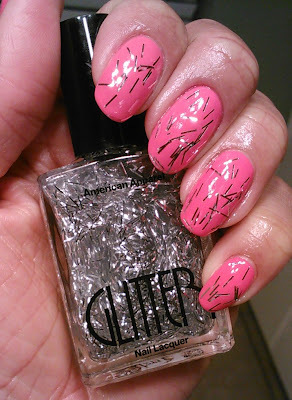 I added 2 coats of Seche Vete topcoat to make the glitter lay flat. Overall I really liked this look. It reminded me of something from the 80's. Thoughts? Feelings? Concerns? I have no idea what was wrong with the lighting in the picture above, but the picture below is more true to form. The polish has a great formula, very easy to control and perfect creme finish. 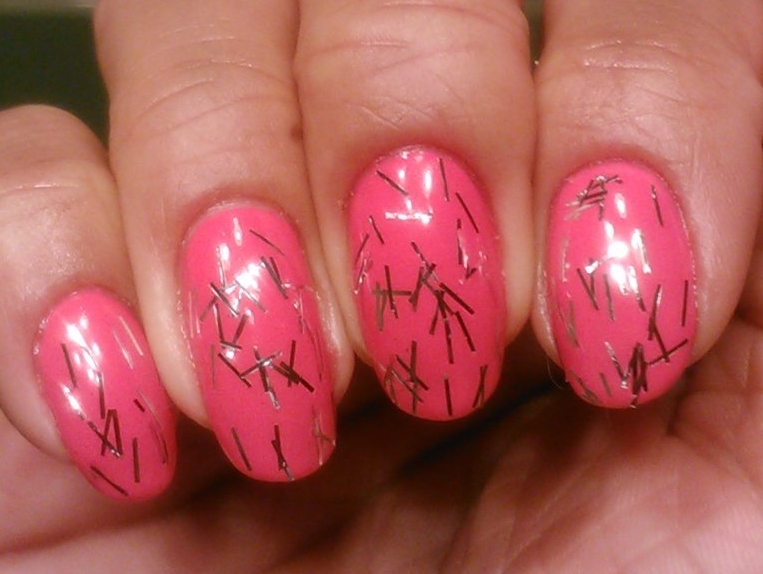 Please disregard my shiny cuticles I added coconut oil because they were ubber dry!